I love the Tatoo. I was trying to come up with some Tatoo’s for one of my characters with HM3 that were very similar but was having some difficulty. The obvious question would be if more patterns like this were going to be added. I believe that I read on a few other posts that these types of additions we completed though and there would be no more. Let me know if I’m recalling that incorrectly. I like the drawing. 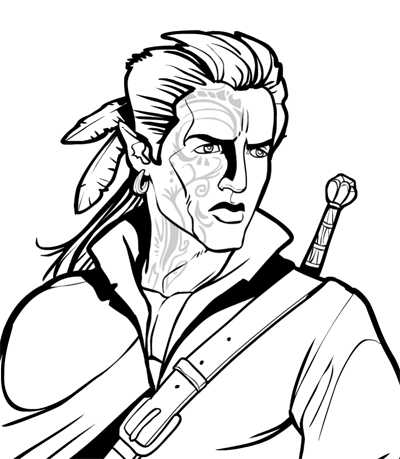 It’s a good fantasy picture showing an elf that is pissed off. I like it! Not feeling it? This is great! If someone was to ever make some fantasy rendition of Braveheart, this is what I would want the main character to look like.